This video documents the activities of phases one and two of a project whose objective was to promote small-scale processing of cassava as a way of contributing to food security, increasing the income and improving livelihoods of smallholder farmers, creating jobs, and contributing to overall economic development. 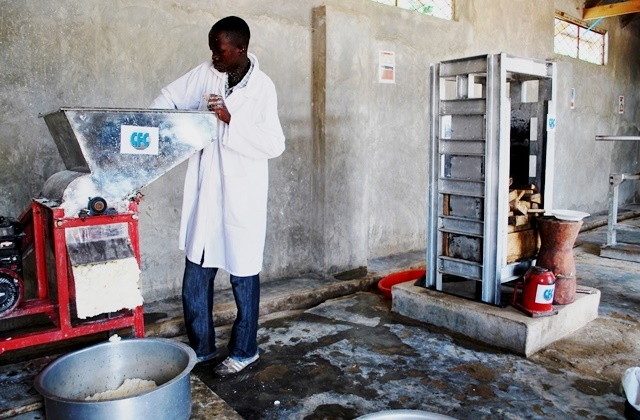 Using a value-chain approach to identify and tackle the many challenges from production to marketing of the final products, the project saw the processing of cassava in East and Southern Africa move from rudimentary and traditional with products of poor quality mostly for home use to becoming mechanized with high-quality products for sale in urban supermarkets and industrial use. The project, “Small-scale cassava processing and vertical integration of the cassava sub-sector in East and Southern Africa”, which ran for a total of eight years and came to an end in 2014, was funded by the Common Fund for Commodities (CFC). It was implemented by the International Institute of Tropical Agriculture (IITA) in collaboration with national partners in five countries: the National Center of Applied Research and Rural Development (FOFIFA) of Madagascar; the Zambia Agricultural Research Institute; the National Agriculture Research Organization (NARO) of Uganda; the Tanzania Food and Nutrition Centre (TFNC), and the Agricultural Research Institute of Mozambique (IIAM). Cassava found its way into Africa over 400 years ago through Portuguese explorers and traders alongside maize, sweet potato, and groundnut. Today, it is an important staple in many countries in the continent. However, in many countries cassava lags behind maize in importance. Moreover, it is a versatile crop that performs relatively well on poor soils, with low rainfall and little inputs such as fertilizer compared to most crops. Therefore, for years, communities have banked on it in times of drought or famine. The roots are also a rich source of carbohydrates and starch which can be processed into raw material for industrial use. However, the main disadvantage is its bulky roots which are difficult to transport and store―they start going bad after two days. 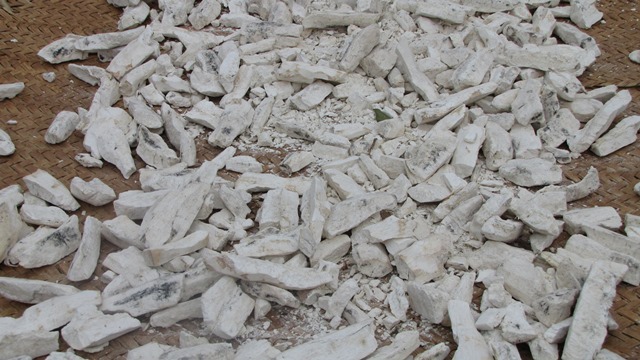 Most of the communities growing cassava have been processing it in one way or another to extend the shelf life and to eliminate cyanide, a toxic compound released from certain types of cassava when they are not properly processed. Processing involved drying the roots on the floor or roof tops or soaking them in pits for several days before drying, and milling into flour. The products from traditional processing were often unsafe and of poor quality. Training farmers and small-scale processors: The first phase of the project, therefore, according to Dr Adebayo Abass, IITA value chain specialist and the project coordinator, was to introduce better processing methods and simple energy-efficient and labor-saving equipment such as chippers, graters, and dewatering machines to smallholder farmers and processors. Fabrication of machines: The project also introduced prototype machine designs and worked to build the capacities of machine fabricators to ensure the machines were locally available in the five countries. One of the trainees was Peter Chisawilo from Intermech Engineering Ltd in Tanzania, that went ahead to manufacture hundreds of these equipment that were sold to processors in Malawi, Tanzania, and Uganda.. In collaboration with the project, many other equipment fabricators from DRC, Mozambique, Tanzania, Uganda, Zambia, etc, were trained. Cassava processing equipment: a grater and a dewatering machine. The same happened in Zambia and Madagascar. Investigation by the project showed that several factors contributed to the constraint. The most important was the inability of the smallholder, semi-mechanized processors to dry the cassava quickly to maintain quality and increase turn-over of products. Drying, a critical step in processing the flour relied on sun-drying. This was a major challenge in the processing of HQCF. The processors spread the grated cassava in the sun to dry before milling it and this limited processing during the rainy season. This led to phase two of the project. Phase two looked into some of the hurdles faced by the processors in Madagascar, Tanzania, and Zambia in supplying HQCF to the industries in the required quality and quantity. The project explored existing drying technologies and settled on the use of the pneumatic drying technique using flash dryers. Due to their high cost and drying capacity, it was not practical to have all the small-scale processors install the dryers and the project therefore developed a two-step processing procedure. 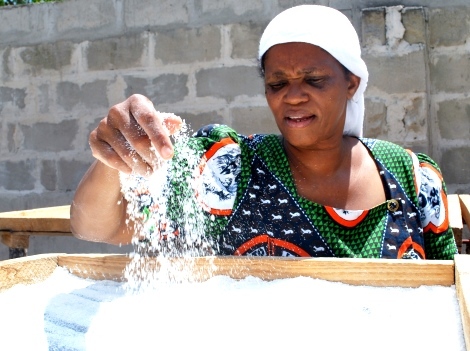 At the village level, several small-scale processors bought cassava from farmers, peeled, washed, and removed the water to form semi-dried grits which have a longer shelf life and are much easier to transport than fresh cassava. The grits are sold to a medium-scale processor with a mechanical dryer within the community who dries the grits and mills into flour to sell to industries and urban consumers. Basilisa Minja, Secretary of Umoja group in Mtwara region in Tanzania, praised the two-step production process as it removed the headache of sun-drying and they were able to process cassava during both rainy and dry seasons. Amfrad Magula, the manager at Procepres Enterprises Ltd in Northern Zambia, where a flash dryer is being used, says the dryer has led to a great improvement in the quality of the flour they are producing and selling to industries in Lusaka, Zambia. Improving cassava varieties: The project in both its first and second phases worked with cassava breeders from IITA and national research centers to give farmers improved varieties to increase productivity. 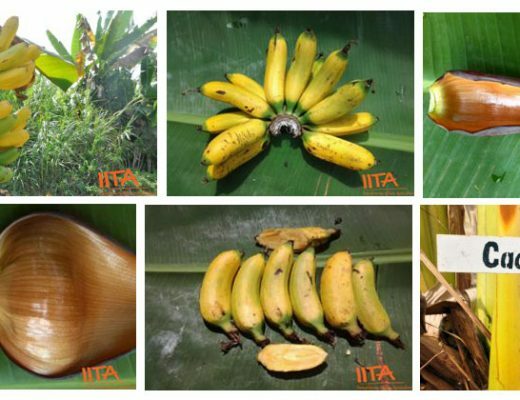 This was particularly important as many of the varieties the farmers were growing were susceptible to the two viral diseases spreading through East and Southern Africa and leaving behind a wave of destruction: cassava brown streak disease and cassava mosaic disease. Saving the forest in Madagascar: The project also installed a flour processing unit in a starch making factory in Marovitsika, Madagascar. The firm which was set up in 1945 was no longer manufacturing starch. The several communities whose livelihoods depended on the starch factory for many years resorted to felling the trees in the forest that was developed for decades by the starch factory. However, it has now started production of cassava flour which according to the manager, Robinson David Alexander, is proceeding rather well. This in turn, it is hoped, will reduce the destruction of the forest. 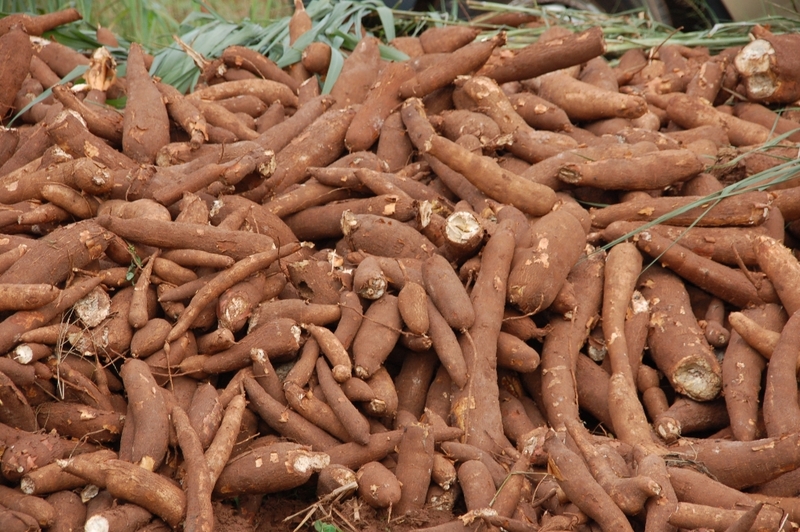 Attracting investors: The project has also attracted investors interested in setting up firms to process cassava starch. Such investors included Mr Shabir Zaveri from Tanzania who intends to construct a cassava starch making factory in his 200 acre Nyambiri farm in Rufiji, Coast Region. Partnerships to develop standards for cassava products: The project collaborated with regional and national food regulatory institutions in the East and Central Africa to develop harmonized standards for cassava starch, flour, and other cassava products. Trainings of the cassava processors were done to increase their capacity to produce standard products that comply with the harmonized standards. The purpose was to increase regional trade in cassava and make the crop a tradable commodity in the East, Central, and Southern Africa. 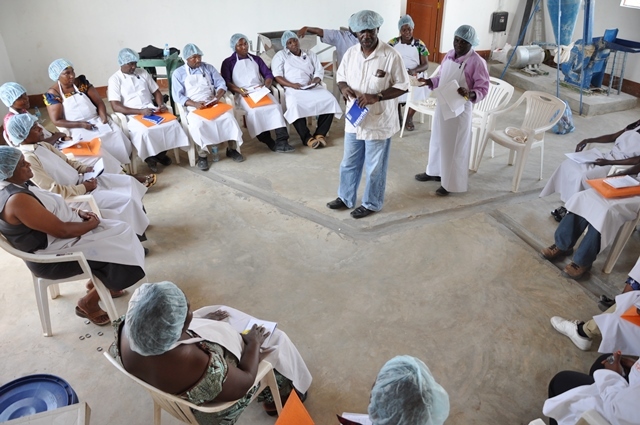 Training processors on standards for cassava products. The end of the beginning: While the CFC project has come to an end, it has made a lot of progress in the push to commercialize cassava in East and Southern Africa. It has created awareness on the diverse and unexploited market opportunity for cassava and in turn sparked interest in many individuals to set up cassava processing ventures. Many lessons have also been learned and no doubt, the project has laid a firm foundation for a cassava processing revolution that will increase the income of smallholder farmers and processors, create jobs, save foreign change expenditure, and contribute to economic development.